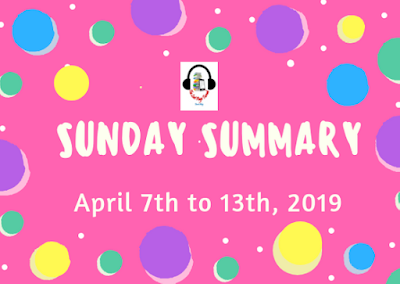 Book reviews of Print, e-Book, and Audio books, Old and New, as well as my Ramblings on other bookish adventures. Favored Genres include General Fiction, Fantasy, and Thriller/Suspense - but I have been known to stray to other genres on occasion. Not a bad book, but I don't feel like it can compete against some of the other psychological thrillers released as of late. This is the story of Maddie and Ian, and Jo. Told in alternating time lines from the time Maddie and Ian met through Jo, the time immediately preceding the killing, and the actual day of the killing. Maddie and Ian met in the Balkans while Maddie was working as a travel writer, and Ian was serving in the British military. They met through Maddie's best friend Jo, who was running a refugee relief organization in the area. The three have a tumultuous and complicated camaraderie that sees many ups and downs between them over the years. Eventually Maddie and Ian marry, but things are still difficult between the three of them. While Ian suffers from PTSD, Maddie does her best to cope and raise their son Charlie, often on her own as Ian is gone for months at a time for work oversees as a security consultant. Maddie starts in therapy and ultimately reaches out to Jo in an attempt to reconcile. The police receive a frantic 911 call and arrive to a grisly scene with one body, and three survivors. What happened in this home? How did the past result in a death? I found the book to be too slow through the periods of the distant past, and it dragged through the middle because of it. I felt a that while the author was probably trying to adequately define the characters and relationships, in reality I found myself somewhat bored by it at times. Also, I found the ending somewhat predictable as well, perhaps because we spent so much time with all the characters and events. There weren't any real "oh WOW!" moments for me, and in a thriller that is often the difference between a good book, and a great one. The book did do well on other fronts. It broached the subject of PTSD and it's effects on people and relationships, and the story itself was good. Narration was performed by Xe Sands (quickly becoming a favorite narrator of mine), Vivienne Leheny, and Paul Fox. It was well performed and as with any multiple person cast, characters were easy to identify and follow. All the narrators were clear with a good cadence and range of emotion. 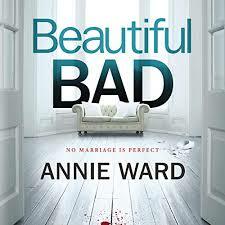 An entertaining book, but not likely to compete over time with many of the other thrillers seeing popularity these days. A haunting and ethereal story. A mysterious sleeping virus invades a small college town. Victims fall asleep and are unable to wake up. There are some other interesting symptoms, primarily heightened brain activity during sleep, as well as some lingering effects in those that survive. 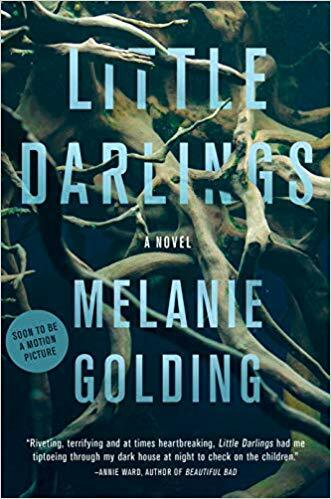 The book follows Mei who is patient zero's roommate, a young couple with a new baby, two young sisters and their father, and an older professor. The book tells many stories at once, but to me the main protagonist was the virus itself, and the story was in how the virus affected individuals, families, and the town itself. The one drawback to this is that I never felt a strong connection to any of the characters. The writing itself was beautiful and written in a very dreamlike prose, which if course is well suited to the storyline itself. 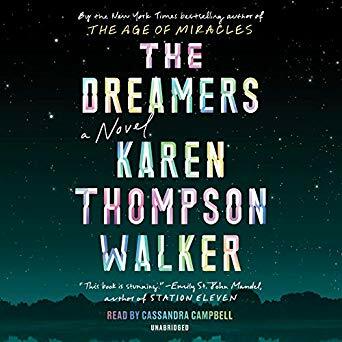 The narration was performed by Cassandra Campbell, and was also done with a certain dream like quality - actually a little too much so for my taste - I started to enjoy it more after bumping up the speed on my app one notch. This is by no means a negative commentary on Campbell's overall ability as a narrator - her work on Where The Crawdads Sing was absolutely stellar. I don't know if the tempo of this audiobook was Campbell's choice, or by choice of the director, only that for me it was a tad too slow. Campbell's range of character and emotion however were completely on point. A pleasant dream like diversion. * I received digital review copy from the publisher via NetGalley in exchange of an honest review. Sandis and Rone are back! Sandis is still reeling from Rone's betrayal. Though he helped her escape, she is still not safe from Kazen who was injured but not killed during the escape. Life with her great uncle isn't the loving family scene she had imagined either, and she soon finds herself alone and on the streets. Rone is trying to make amends, desperate to earn her forgiveness, but Sandis is too hurt and angry to want much to do with him - but Kazen must be stopped and Sandis needs help. Together they set off to save the world from Kazen and the demon beast Kolosos that he seems intent on releasing. The numina series is a wonderful, unique story. I can always count on Holmberg to create new and original worlds, and characters that are well developed and easy to connect with. Having recently finished the first book in the series - Smoke & Summons, I couldn't wait to start this book! Now, after the explosive end of Myths & Mortals, I will be eagerly awaiting the final book in the the trilogy, Siege & Sacrifice - which is due out in September. Welcome to my Sunday Summary. A look back on my bookish adventures for the past week. 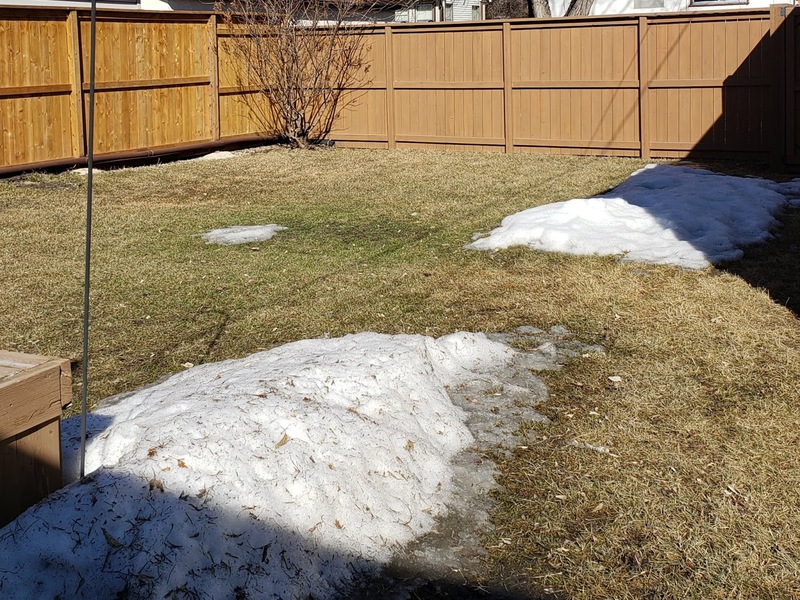 Well, it is med-April and I still have snow in my back yard! 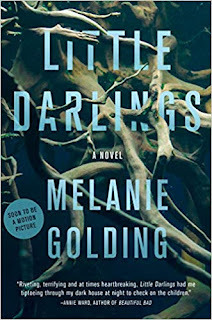 Little Darlings, by Melanie Golding - So creepy! Part dark fantasy and part thriller, this book was reviewed in THIS POST. None this week, but stay tuned! I am currently reading Myths and Mortals, by Charlie N. Holmberg, and listening to The Dreamers, by Karen Thompson Walker. On deck is an ARC of Romanov, by Nadine Brandes which will be available May 7th. 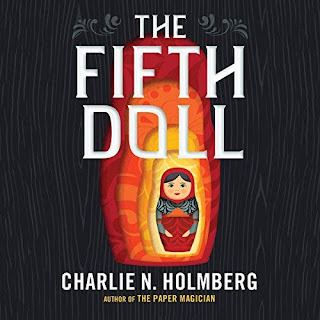 Review: The Fifth Doll, by Charlie N. Holmbaerg. Holmberg's imagination and storytelling style is a magic unto itself. Matrona lives in a small isolated village. Unmarried at 26 years old, she lives with her parents on the family dairy, works hard, and does as she is told. With few prospects in the village, Matrona's parents choose a husband for her, and ever obedient, she accepts that she is soon to wed this man she hardly knows. One day while running an errand, she finds a paintbrush that she believes belongs to the local tradesman, Slava. In trying to return it she enters his house and discovers a room full of dolls, each one resembling another one of the villagers. She inspects her father's doll before leaving Slava's house, and realizes these are nesting dolls. When she gets home, her father is a changed man. With his secret discovered, Slava sees this as an opportunity to pass on care and responsibility if his odd collection to Matrona. Slava insists she come every three days to open another of her own dolls. Matrona is soon desperate to escape before she opens her final doll. I loved the "old world feel" of this book. Rooted in magic and folklore, but entirely original and new, I loved every minute of it. Narration was performed by Angela Dawe, and in my opinion she was the perfect match for this story. Her range of emotion and character breathed life into this wonderful story. 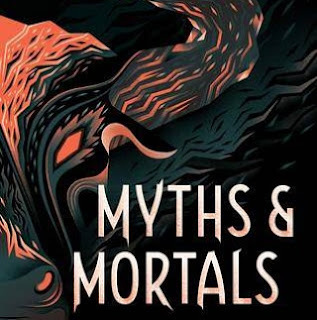 A great original tale of magic rooted in folklore. Thank you HarperCollins for for providing a copy of this book in exchange of an honest review. Part thriller, part dark fantasy, all good! Lauren is a new mom to twin boys Morgan and Riley. While in hospital recovering from childbirth, she awakes in the middle of the night and is accosted by a woman who wants her babies. Lauren barricades herself in the washroom and calls the for help. When help arrives, there is no evidence that anyone had been there. It is quickly disregarded as postpartum fatigue, hormones, and emotions. Without evidence no one believes her, but in the weeks afterwards, Lauren sees evidence of someone watching and waiting for her to let her guard down. It is clear to Lauren that only she is aware of the threat. Overwhelmed and over-tired, Lauren falls asleep in a park and wakes to find her babies missing. When the babies are returned shortly afterward, Lauren is convinced that they are not hers. This was such a well written story. Creepy and unsettling with an air of dark folklore, the reader is constantly examining and re-examining, I was consumed with twisting the story this way and that, wondering how the details fit into the reality. Yet Despite the story's dark undertones, the writing also has a beauty to it. Goldberg's descriptions perfectly capture the wonder and beauty one feels in those earliest moments of parenthood when just holding a sleeping baby fills a person with awe. With echoes of Grimm, this story had me right from the first page and kept me wanting to read "just one more page" until I ran out pages. A movie based on this book is currently in the works - I look forward to it! 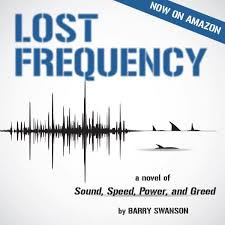 * I received a review copy of this audiobook from the author in exchange of an honest review. An enjoyable book combining the beauty of nature with the edge of a techno-thriller. DJ Parker was on top of his game. Owner and CEO of a multi-billion dollar software company, he was about to release new technology that would see his star rise even further. He was on the verge of releasing a new bio-metric system with AI technology that would be completely game changing. Shortly before the official release, DJ receives news that his father James has passed away. 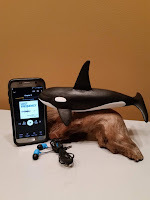 DJ had been estranged from his father for some time, due to philosophical differences in his father's work - Marine entertainment parks featuring live Orcas, also known as killer whales. While attending to his father's estate, DJ learns that the gap in their differences was narrowing during their estrangement, and his father was conducting research hoping to prove the intelligence of these gentle sea creatures. Not only did the research have the potential to affect the future of marine parks, it had some results that could be applied to DJ's new technology. The effects of combining his father's work and his own, had the potential to change the way humans live and connect on a global scale. But a Russian group with ties to the Kremlin is willing to do anything to get this technology and twist it to their own nefarious goals. The one thing that really stands out in this book, is the author's love and passion for Orcas and the preservation of their habitat. By creating a work of fiction around a subject he is passionate about, he has written a book that is at once entertaining and educating. I learned a fair bit about the Southern Resident Killer whales - their habitat, social structure, diet preferences, all the while being entertained. If seeing these magnificent creatures hadn't been on my bucket list before, it would be now. The narration for this audiobook was performed by B.J. Harrison. His voice was clear, and he read with a pleasant tone and cadence. His character range made it easy to follow the story. All said, an enjoyable story that makes me long to be by the ocean.